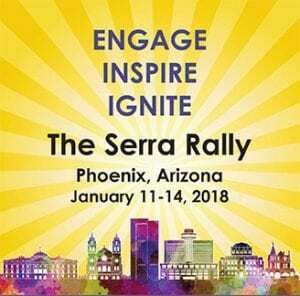 The 2018 Serra Rally in sunny Phoenix, AZ was a huge success! I would like to thank all of the Serrans who attended from the U.S. and from around the world. If you missed this year’s Rally or want a re-cap of the inspiring presentations, you’ve come to the right place. We will be adding post Rally highlights on this page, so please check back often.